What to do When Your Birth Doesn't Go as Planned. Doing your research and knowing exactly how you would like your birth to go is always a good idea. In fact, I even recommend writing these thoughts down to create an easy-to-read and easy-to-share birth plan. This helps ensure that your desires are well known, and with the right birth team, many of those wishes will probably be met if at all possible. That said, things don't always go according to plan. Problems crop up, little annoyances snowball into big emergencies, and some babies and bodies just have minds of their own. 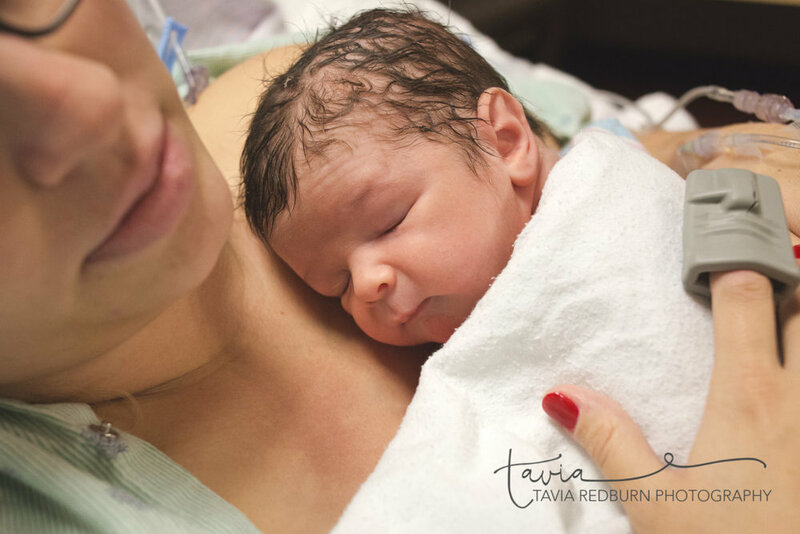 These things aren't necessarily common, but they do happen, and many times this means the initial birth plan must be modified to fit the situation. While I don't recommend dwelling on the “what ifs”, I do think it's a good idea to consider what you will do should unplanned things happen during labor and delivery that steer your birth experience in another direction than originally planned. After all, there is no way for us to control everything, and being mentally prepared for unexpected issues can help ensure your experience is a positive one, even if it isn't exactly what you planned. Wondering what you should do in case things do go awry? Consider these tips. Hire a Doula — A doula is an advocate for birthing women. For this reason, having a good doula is essential when issues arise. She can ensure that your birth plan stays as intact as possible while also providing you with reassurance. Know Your Stuff — Soaking up as much information as possible about birth is also incredibly helpful. This will allow you to make informed decisions about your own body and health, as well as that of your baby. Create a Backup Plan — Making a birth plan is great. Making a “Plan B” and even a “Plan C” is even better. Decide what you'd like to happen in case you decide you absolutely must have an epidural. What if a C-section is required? Having a plan for these things will still give you a bit of control even if your initial plan gets tossed to the side. Keep Your Cool — If you do get news that your caretaker won't be able to sick to the original plan, take a deep breath and keep your cool. Remember that you are doing your very best, and your caretakers are there to keep you and your baby safe. Getting upset won't help anything, and may actually hurt baby by causing them distress. Remind Caretakers of Your Plan — Reminding your birth team of your plan won't fix any problems that come up. However, that simple reminder might mean your team keeps your wishes in mind and sticks to the plan as much as possible. Lean on Your Doula — Your doula is there to help you and advocate for you. Let her be the one to insist that measures be taken to mind your wishes whenever possible. Your doula will also be able to help you remain calm in stressful situations. Allow her to do her job. Take Care of Yourself — Obviously, you'll be grateful about baby once they are born, and clearly you'll need to take care of and enjoy them. That said, it's also important to take care of yourself. Remind yourself regularly of just how awesome you are and give yourself plenty of self-care time in order to reflect and heal mentally. Lastly, you'll want to watch out for signs of postpartum depression. A birth that doesn't go as planned can be a cause of depression, and PPD should be treated as soon as possible. Are you looking for a doula to support you no matter how your birth goes? I'd love to chat! Please contact me today for a consultation.